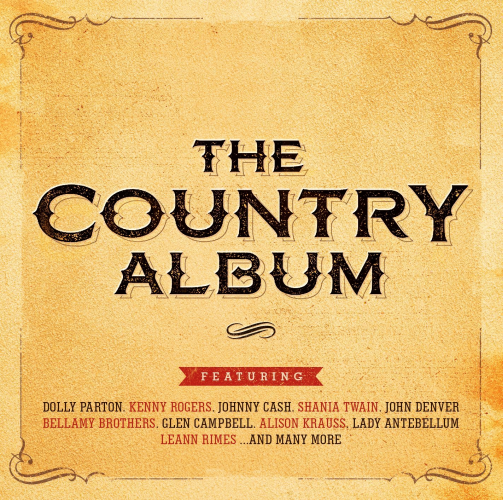 Presenting to you, ‘The Country Album’ – the must have addition to your CD collection, which includes the best of country on one superb album. If one album were to have it all, it would be this; the greatest country songs, by the greatest country stars, across 45 of the most stand out tracks in the genre. Boasting a stellar line-up, ‘The Country Album’ takes you on a journey alongside some of the most prolific and influential country singers, including Dolly Parton, The Mavericks and many more. The Country Album – it’s more than just a stocking filler – give the gift of Country this Christmas! As is usually the case with these Compilations there are few if any rare tracks to be found on-board however what this collection offers is quite simply two discs of favourite Country numbers in an unfamiliar play-order.